This discovery pack contains 4 different Caffitaly coffees : Cremoso, Armonioso, Original (Americano) and Corposo. 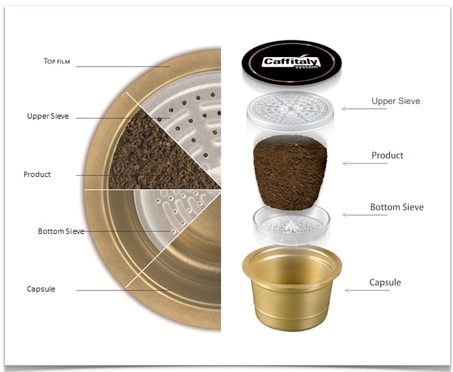 Capsules only compatible with Caffitaly machines. 40 capsules in total. 1 box of 10 Cremoso capsules : 100% Arabica from Latin America for a mild coffee. 1 box of 10 Armonioso capsules : A blend of 30% Robusta and 70% Arabica for a balanced espresso. 1 box of 10 Original (Americano) capsules : 100% Arabica for a mild Americano. 1 box of 10 Corposo capsules : A blend of 55% Robusta and 45% Arabica for a strong espresso.